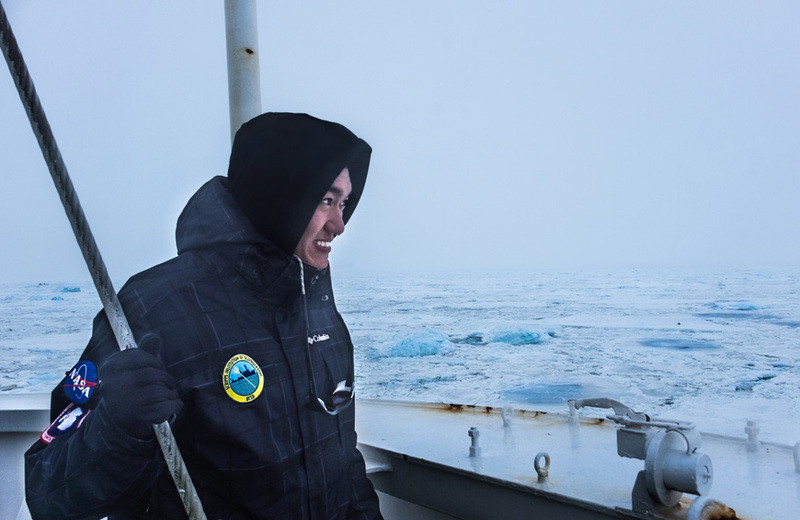 Scripps Oceanography student Jack Pan on a research expedition to Antarctica. Jack Pan is a fifth-year PhD student at Scripps Institution of Oceanography at the University of California San Diego. He grew up on the outskirts of Los Angeles County and obtained his bachelor's degree from the University of California Irvine in earth and environmental sciences. Pan is now in the biological oceanography program at Scripps where he conducts research on polar regions in the lab of Maria Vernet, a professor emeritus in the Integrative Oceanography Division. Pan’s research concentrates on phytoplankton ecology and ocean optics in a polar fjord in the western Antarctic Peninsula. We talked to Pan to discover what prompted him to come to Scripps, what started his passion for oceanography, and more. Why did you choose to attend Scripps to pursue a PhD? Jack Pan: Scripps is a prestigious institution, which has the faculty and resources to help me gain a holistic perspective on oceanography. Besides, I couldn’t pass up the view! What are you researching at Scripps? JP: My research focuses on phytoplankton ecology and ocean optics. In particular, I study a polar fjord located in the western Antarctic Peninsula. We try to understand why these Antarctic fjords are very productive, and how phytoplankton play a role in these systems. The ultimate goal is to use these fjords as a model system in order to develop a more general algorithm to predict phytoplankton communities based on their physical environment. JP: I became interested in oceanography when I first heard the concept of iron fertilization over ten years ago; at the time, it was proposed as a geoengineering method for carbon drawdown and countering the effect of climate change. This interest had led me to work on an ocean-based satellite remote sensing project with my undergraduate advisor, which then led to my work at NASA’s Jet Propulsion Laboratory (JPL). Throughout this entire process, I became increasingly addicted to oceanography and enrolled at Scripps to pursue a PhD in this subject. What’s life like as a Scripps student? JP: At this stage of my dissertation, my typical work day mostly involves data analysis and writing. I also help with our lab maintenance and make sure the space complies with regulations. In addition, I also find time to read relevant literature so I can stay up-to-date. During my free time, I work on startups and data science projects as a side hustle; I also occasionally take on freelance photography work. JP: I remember seeing a polar explorer for the first time in a National Geographic documentary film. We were little kids in a class, and several of us told the teacher that we wanted to be an “Antarctic scientist.” It’s exciting to look back at that moment because this is what I do for work now. 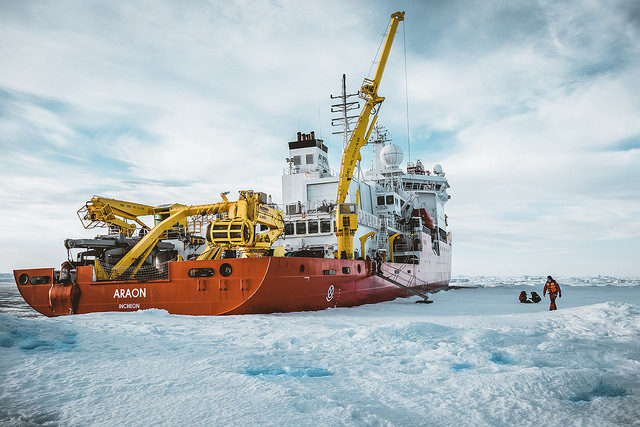 It’s an absolute honor to be among individuals who dedicate their careers to studying the polar region and exploration in extreme environments. Are there any role models or mentors who have helped you along the way? JP: My advisor and committee members at Scripps have been instrumental to my education and training as a scientist. I was also very inspired by educators and advisors I had along the way; these include my high school science teachers, my undergraduate advisors, and my supervisors at JPL. I also cherish the teaching and guidance in Dr. E.O. Wilson’s book Letters to a Young Scientist. What are some of the challenges you face as a student? JP: Like many graduate students, the occasional, overwhelming sense of uncertainty is probably the most pronounced challenge that I face as a student. This uncertainty comes from both contemplating over ‘what if the results’ p-value is >0.05’ (short-term) and contemplating over ‘what should I do in the future’ (long-term). It’s always challenging to find that inner balance between using this existential angst to motivate myself and being completely consumed by it. JP: Great ideas should not sit in a dissertation and die in a library. I hope to leverage the opportunities here at Scripps to promote public-private partnerships and turn great technologies from theory to reality. I also hope to continue my scientific work and advance our understanding of the natural environment. This endeavor is done through establishing a startup company here in San Diego. Ocean Motion Technologies aims to convert kinetic ocean wave energy to compressed air for power generation and energy storage. I hope this technology will be an innovative means of providing power to oceanographic and maritime sensors at sea. You can find the Vernet Lab on Facebook @fjordphyto. You can find Jack Pan on Twitter @byjpan and Instagram @EcoRoyalty.